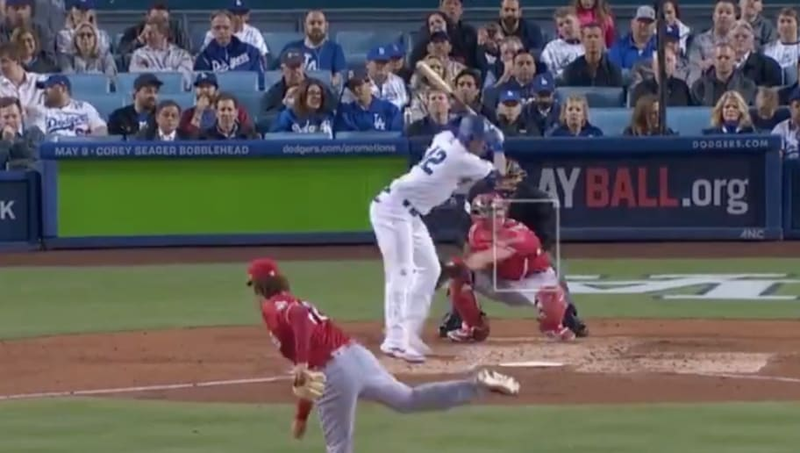 ​This looked very, very bad for Dodgers star ​Cody Bellinger. In the bottom of the third inning in what was headlined as Yasiel Puig's return to Los Angeles, Bellinger was drilled by a pitch, and subsequently had to leave the game. No diagnosis has been given, but we can only presume Bellinger was in some serious pain. Dave Roberts was quick to the scene in what looked to be a scary moment for the 23-year-old. After initially trying to walk off the ailment in a trip to first base, Bellinger and ​LA's training staff concluded he should not remain in the game. He'll undergo x-rays in the coming days. Bellinger had a hot start to the season, as he was named NL Player of the Week during a stretch from March 31-April 7. His numbers on the season are equally as impressive, as he's hitting .424 with nine home runs and 22 RBI.